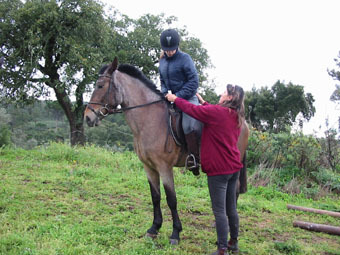 Lessons are given by Tiffany Nazar, F.E.P. Monitor & Responsavel Tecnico (Equivalent to B.H.S.I.I), Docente de Plena Natureza and de Equitação Terapêutica. 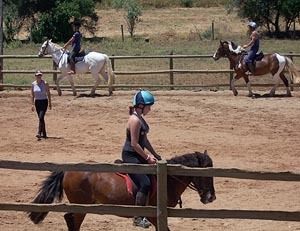 Tiffany has many years experience teaching people how to ride from absolute beginners to advanced riders. 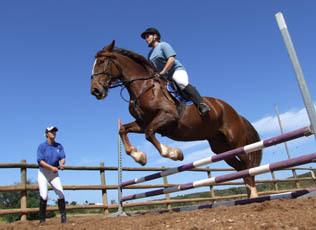 Tiffany also competes in National and International Show Jumping competitions and in regional Dressage. Instruction is given in English or Portuguese. 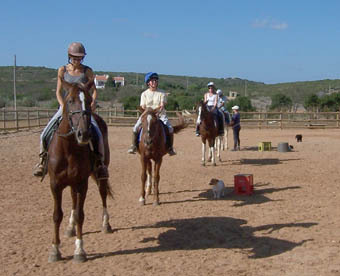 Beginner's Ride A 20 minute lesson, as an introduction to horse-riding, ensures that those with little, or no, experience gain some idea of the principles of riding. 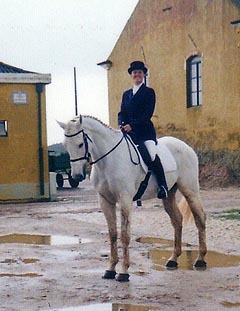 The price includes the following hour's Country Ride. From 10:00 am to 12:30pm. All ages from 7 years old. 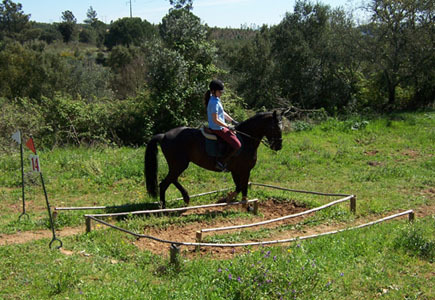 The morning contains lessons or rides, grouped according to ability, and instruction on horse care and horse knowledge.